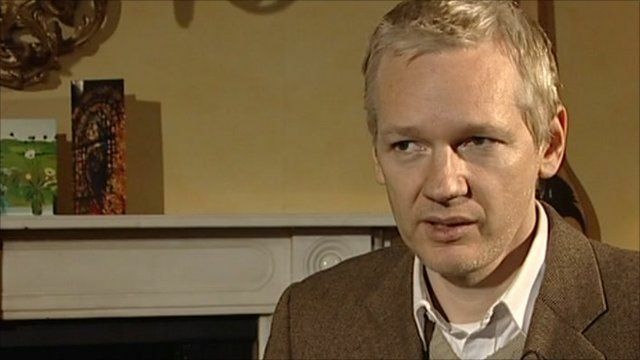 Assange defiant over extradition Jump to media player The Wikileaks founder, Julian Assange, has told the BBC he fears he would be kept incommunicado if extradited to Sweden. Assange vows to continue leaks Jump to media player The founder of Wikileaks, Julian Assange has been granted bail pending an extradition hearing in the New Year, in pursuit of allegations of sexual misconduct in Sweden. The Wikileaks founder, Julian Assange, has told the BBC he is fighting a Swedish extradition warrant over accusations that he sexually assaulted two women because he believes he would be held incommunicado and his Swedish lawyer would be gagged. In an interview for the Today programme at the mansion in East Anglia where he is now on bail, Mr Assange suggested that the two women involved in the case had gone to the police for advice rather than to make a complaint. 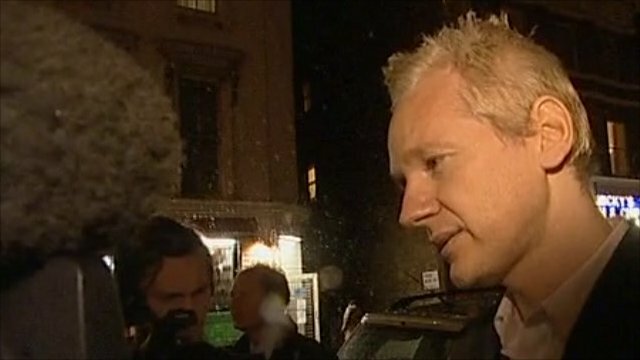 Pressed by John Humphreys over why he was resisting going to Sweden, Mr Assange argued that the restrictions he would face there would mean that no natural justice would occur.